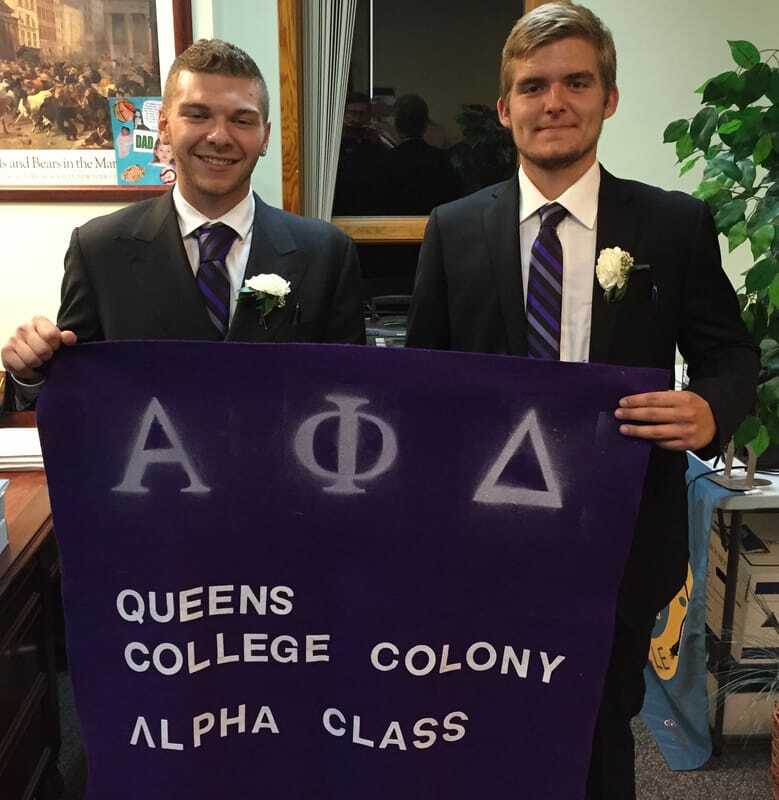 The Queens College Colony, well on its ways to becoming chartered as a chapter of Alpha Phi Delta, initiated its Eta Pledge Class on November 26, 2017. 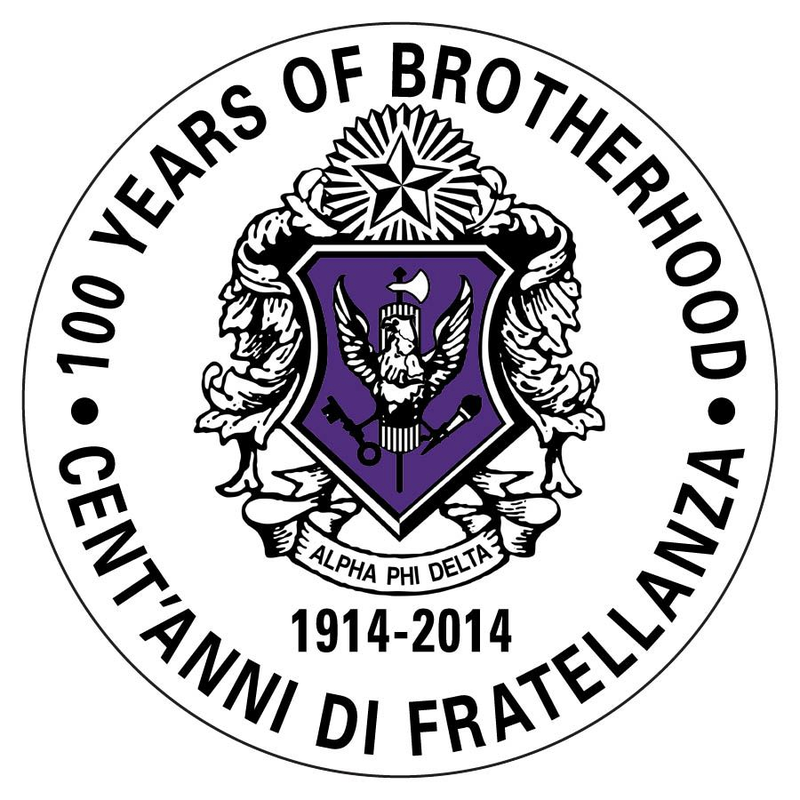 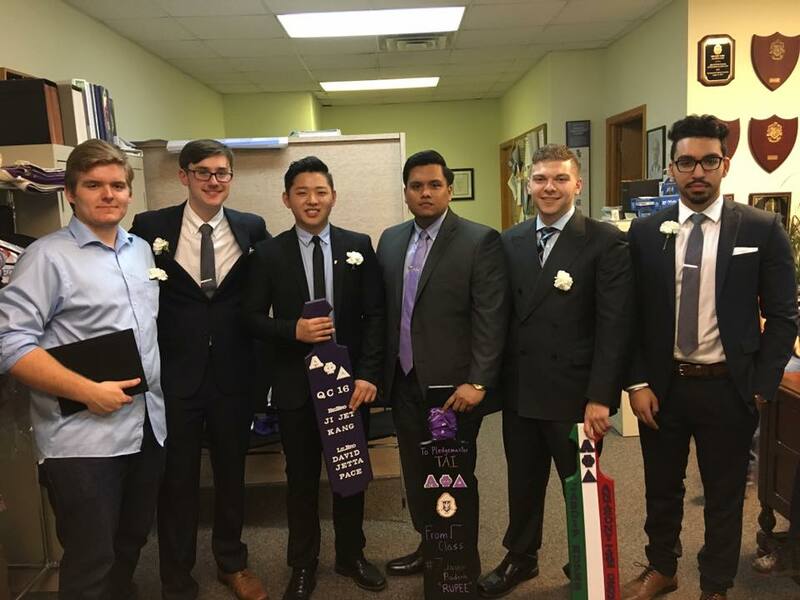 We welcome Jerry Chan, Oscar Gaj, Thomas Lima, Ben Rapoport, and Adam Vanderborg to our brotherhood. 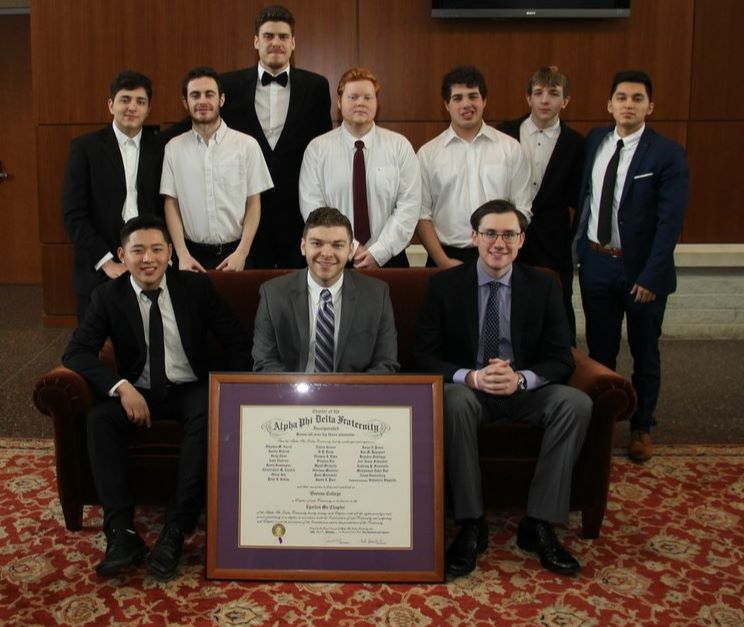 On May 7, 2016, the Queen College Colony initiated its Gamma Class, adding two new members to our colony: Jason Pace (2nd from left), and Jasdip Badesh (at far right). 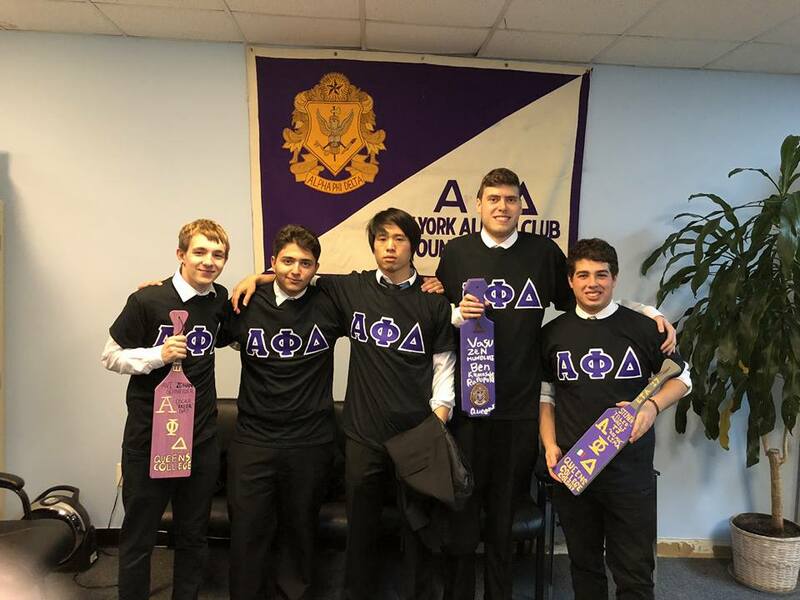 Other brothers who were present for their initiation pose with them.